A book that discusses some undeniable truths. Dr. Douglas Axe is a very interesting scientist. He did his undergraduate work at the University of California, Berkeley and got his Ph.D. in chemical engineering from Caltech. His thesis was focused on molecular biology, which is why you find his scientific papers published in The Journal of Molecular Biology, PloS One, and Biochemistry. He is also a co-author on a paper that appeared in the Proceedings of the National Academy of Sciences of the United States of America. Currently, he is the director of the Biologic Institute, which is a research organization that encourages its scientists to do their research from an Intelligent Design point of view. He is also one of the authors of Science and Human Origins, a book that surveys the evidence for human evolution and concludes that humans cannot be the result of an unguided, neo-Darwinian process. 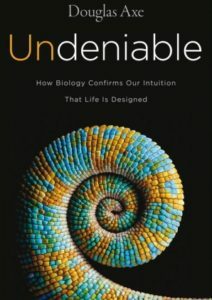 I recently had the pleasure of reading his latest book, Undeniable: How Biology Confirms Our Intuition That Life Is Designed. The first thing you might notice about the book is its main title, which is the same as the main title of an error-riddled book written by Bill Nye. While Nye likes to call himself “The Science Guy,” some of his behavior is decidedly anti-science (see here and here, for example), and his book makes it clear that he doesn’t try to understand some of the issues that he discusses publicly. Unlike Nye’s book, this book is written by a real scientist who actually does educate himself on the issue about which he is writing. Indeed, most of what he writes in this book is directly related to the scientific work he has published over the years. That is so true. If you ever wonder why so many scientists resist new thinking in the origins debate, it’s because they have been taught to resist it! Fortunately, some scientists (like Dr. Axe) don’t don’t take that lesson to heart. Instead, they do what scientists should do: question the existing paradigm when the data speak against it. In other words, when there is too much information, you should realize that there is no way random processes could have produced it. Sure, random processes can alter information, and sometimes they can alter it for the better. Indeed, he discusses how an evolutionary process in one of his experiments took a protein that didn’t do its job well and converted it into a protein that could do its job incredibly well. However, random processes could never have produced the original, poorly-working protein, because even a poorly-working protein represents significantly more information than could ever be produced by random chance. Now please note that Axe doesn’t just tell you that a poorly-working protein cannot be produced by random chance and natural selection. He shows you why. He describes different systems that are analogous to how a biochemical system would “search” for a useful protein using random mutations acted on by natural selection. He then takes his own published scientific research on proteins and converts the numbers he got from that research into probabilities that are applicable to those analogous systems. In all cases, the numbers tell us that it is simply impossible for the search to be successful, unless the search field is narrowed down considerably. His conclusion is that while evolution can “tinker” with a protein and make it better than it was initially, it can only do so when the starting chemical with which it is working already has a lot of the configuration that it needs to get the job done. In other words, evolution works well when the search field is narrowed down. However, to start from a protein that doesn’t do anything useful and try to make something useful out of it, the search field is impossibly large, and there is no way that random processes acted on by natural selection can get the job done. While Axe’s book is not as wide-ranging as many other books that have been written about the origins issue, it is very powerful. It takes the “nuts and bolts” of evolution and demonstrates rather convincingly that there is simply no way that random processes could be the driving force. In other words, living things appear to be designed because they are, and while scientific research clearly confirms this fact, you don’t need to be a scientist to realize it. Thanks for your review of this book! I’m looking forward to reading it. My oldest son (age 9) has been asking a lot of questions about how we know God is real, how we know if what we believe is true, and so forth. It helps to have good books and science curriculum (like yours, which we use) to give students a good perspective and to help them answer these tough questions. I’m hoping this new book can give me a good refresher and new information for how to deal with some of my son’s questions. Is this for adults? Scientists? 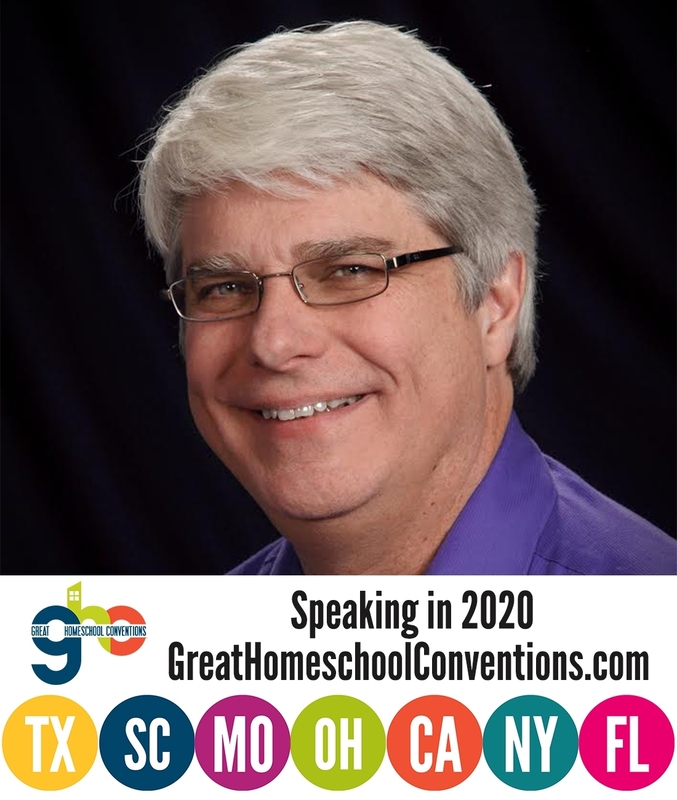 What education level is needed to understand it reasonably well? Thank you. I would say it is targeted to adults, but a high school student who is interested in science should do fine with it. He does a good job of giving analogies to explain scientific concepts, so you don’t need a lot of science background to understand him. I would note that the PubMed search shows that Axe’s last scientific publication was in 2008, and that he only published three papers in the 2000s. His scientific career should therefore be framed in the past tense. Even back then his work was criticised for profoundly misunderstanding how evolution actually works. “Now please note that” Evolution is NOT ANALOGOUS TO A SEARCH. It does not have a fixed optimisation target, but rather one that continually moves, due to evolution of other species (co-evolution) and changes to the environment. Axe does not understand evolution, and draws the erroneous conclusion that this means that evolution does not work. Like many other ID Creationist arguments, Axe’s is simply an Argument from Ignorance, a well-documented logical fallacy. I guess I would start by asking how many scientific papers you have published, Raven. After all, if you are criticizing Axe’s publication record, your criticism means little if you have published fewer. I personally have published nearly 30 articles in the standard, peer-reviewed journals of nuclear chemistry (as well as several textbooks), and I don’t see any problems with Dr. Axe’s level of scientific work. Also, you seem to have missed a few of his scientific publications. As I have already mentioned, he is the co-author of a scientific book examining human origins, and the book reviewed in this post is also scientific. In addition, he has published eight articles in the scientific journal BIO-Complexity, spanning dates from 2010 to 2016. Now, of course, I am sure you will say that these aren’t “real” scientific publications, because you don’t like the sources. However, that’s the genetic fallacy, which has no place in scientific discourse. If you disagree with the science that he has published in those sources, please attack the science, not the source. I could go on and on. However, these selections should make the point quite clearly. Evolution is, in actuality, a search process. There is a fitness landscape, and evolutionary processes search that landscape, looking for peaks in fitness. This is precisely what Dr. Axe discusses in his book. Your claim that Axe’s work is simply an “Argument from Ignorance” demonstrates to me that you haven’t even read this book. He doesn’t argue from ignorance in any way. In fact, he uses experimentally-derived numbers to pin down exactly what kinds of evolutionary searches are possible and what kinds are not. It is a detailed, fact-filled argument that demonstrates exactly how effective evolutionary searches can be and when a design inference is a much more reasonable conclusion to draw. I really think you should read a book before you try to dismiss it. 7) On Axe’s “experimentally-derived numbers”, I would point out that it is very common trick for creationists to present a misunderstood/flawed ‘strawman’ version of evolution (and occasionally experimental geochronology), and then claim that ‘the numbers show that it is impossible/doesn’t work’. This was EXACTLY the criticism of his 2000 Journal of Molecular Biology paper, and I’ve seen nothing of his ‘work’ since to suggest that he’s learned how evolution actually works. Ignorantly-derived numbers are still ignorance, and still IRRELEVANT to whether evolution works or not. So unless you can show that his “experimentally-derived numbers” have passed legitimate peer review (“legitimate” including not-published-by-a-‘journal’-that-he’s-the-managing-editor-of), and found to be accurate and relevant-to-evolution-as-it-actually-works, I see no substantive counter-argument to my statement that Axe is making an ARGUMENT FROM IGNORANCE. Once again, Raven, had you actually read the book, you might have known that his experimentally-derived numbers come from his 2004 Journal of Molecular Biology paper, which was published in the standard, peer-reviewed literature. Thus, it even passes your test, which is unscientifically based on the genetic fallacy. I would also point out the irony of someone who has never even read the book claiming that the book makes an “ARGUMENT FROM IGNORANCE” (emphasis yours). 1) Nobody is claiming that I’m “a real scientist” making really sciencey claims, so “how many scientific papers [I] have published” is IRRELEVANT! 2) Unless and until we are discussing a matter of “nuclear chemistry” your “nearly 30 articles” is LIKEWISE IRRELEVANT! (i) His participation in the risible ‘Science and Human Origins’, which included no author with any expertise in paleoanthropology, population genetics, or any other relevant field. The book was self-published by Axe’s masters at the Discovery Institute, and received very negative scientific reviews. (ii) His participation, as the Managing Editor, majority-author-of-most-of-the-papers and direct superior of the other main (co-)authors, of the largely-moribund Intelligent Design in-house rag ‘BIO-Complexity’. Only in the creationist echo-chamber does such incestuous behaviour count as legitimate ‘peer review’. These do not however count as “scientific”. 4) I am pleased to know that you have mastered the creationist tool of quote-mining. None of these quotes disprove my contention that evolution is not analagous to a search. At best they demonstrate the English language’s frequent limitation in describing scientific concepts that all-too-often require the choice between accuracy and brevity (and thus readability). 6) Nothing in Axe’s previous work, or in the DI’s hype of his book, gives me any basis for believing that he has any real understanding of, or expertise in, evolution. When I read a book, I prefer those written by a genuine expert in the field. Anything less is a waste of my time. Thanks for your reply, Raven. I think you need to learn more about the evolutionary process, as well as how science actually works. 1) Actually, your experience as a scientist is quite relevant. After all, you are trying to claim that Dr. Axes is not a scientist, despite the fact that he holds a Ph.D. in the natural sciences, has done original scientific research, and has published many scientific papers related directly to his field. Thus, you are presuming to evaluate him as a scientist. In order to do that, you need to be a scientist yourself. If you haven’t earned an advanced degree in science, done original scientific work, and published that original work, you have no real way of determining whether or not someone else is a scientist. 2) Actually, my publications are directly relevant. As someone who has earned an advanced degree in science, done original scientific work, and had that original scientific work published in the standard, peer-reviewed journals of my field, I am in a much better position to judge whether or not Dr. Axe is a scientist. He clearly is, based on any reasonable standard. 3) Once again, the genetic fallacy has no place in a scientific discussion. It is really easy to dismiss anything with which you disagree by attacking the source. However, that doesn’t further the progress of science. In fact, it hinders the progress of science. If you want to attack something, attack the science, not the source. (Of a writer) publish (a piece of one’s work) independently and at one’s own expense: eighteen months ago, he was an unknown writer who self-published his book with a minuscule print run of 20. Note that Science and Human Origins was published by the Discovery Institute Press. That means the authors did not publish it independently at their expense. In fact, it was published by their employer. This is very similar to a professor having his or her book published by his or her university’s press. It is not unusual for a scientist to have his or her work published by his or her university. That doesn’t reduce its importance or validity. Indeed, such books are generally highly regarded. You would probably know this if you had any experience in science. You claim that the book got poor scientific reviews. That’s certainly the case. However, you left out the fact that it also got glowing scientific reviews. This is not at all uncommon when a science publication addresses a controversial point. Once again, if you were familiar with the process of science, you would know this. (ii) This is another case where experience in the scientific process could help you understand what is going on. It is not at all unusual for a managing editor to publish in his or her own journal. Dr. John Travis, for example, is the managing editor of Science. His research is published regularly in that journal. That doesn’t call into question the legitimacy of his work in any way. The exact same thing is true for Dr. Axe. The repeated use of quotes out of context in order to skew or contort the meaning of a passage or speech by an author on a controversial subject. None of the quotes I presented to you were out of context. Neither did they skew or contort the meaning of the passages. You claimed (quite incorrectly) that “Evolution is NOT ANALOGOUS TO A SEARCH.” The fact that you “yelled” this indicates it is important to you. However, as the various sources clearly show, it is a search. Indeed, one source said it was “necessarily a search process.” The sources I quote describe specifically how it is a search. Perhaps you should read the sources before trying to claim that I am quoting them out of context. Now, had you understood this, you would have seen the problem with your argument. A fixed landscape is much more easily-searched than a changing one. Thus, any probabilities derived for fixed landscapes are the best possible ones for evolution. As a result, Dr. Axe’s arguments actually give evolution the strongest benefit of the doubt, as he discusses in his book. Yes, fitness landscapes can vary, but that makes it even harder for evolutionary processes to happen! 6) I am glad that you are admitting you haven’t read the book. At least my readers can contrast my review (which is based on actually reading the book) to your review (which is based on not reading the book). I think it is clear which is more reasonable. I would also continue to point out how odd it is that someone who is not a scientist and has no experience in science can presume to determine who is an expert in a field and who isn’t. You have used an interesting word in your discussion. That word is “pseudo-scientific”. whenever I see this word used, particularly in the manner that you have used it, I ask the following question. What does the person mean by pseudo-scientific and what are the criteria that they consider is necessary for something to be scientific? So, it that vein, what are your answers? I have been reading up on various science fields since the mid-70’s, including biological sciences, astrophysics, sub-atomic -physics, etc. In the 70’s and early 80’s, I didn’t have a problem with evolution as a theory. However, the conclusions I came to after reading the results of the experiments performed was generally at odds with the experimenters’ conclusions. That is, they viewed their results as supporting evolution whereas, I saw their results as opposing evolution. it took me some years to understand that they couldn’t or wouldn’t see that their conclusions were at odds with their experimental evidence. As the years have passed by, I have observed this same mindset occur in many other fields. One I find amusing is the oft repeated view that there are many “black holes” in the universe. Yet when one works ones way through the process by which a “black hole” is supposed to form, one sees that no “black hole” can be formed in finite time. the theoretical model does not allow it to do so. Are there massive bodies with massive gravitational effects, probably, but they are NOT the “black hole” of theory. Having been trained as an engineer, one is taught and shown that to look at the world around us, we need models (and the accompanying theories). Every model (and likewise every theory) is a simplification of the reality around us. We use mathematics as a tool by which we gain an understanding of how things work. But, in every case the mathematics uses simplifying assumptions. A common example is the idea of continuity (continuous functions) and with that we also have poles and zeroes. Even when we have discreet systems, we make simplifying assumptions. We ignore minor effects (however we might define minor). Even the simplest of biological systems are complex beyond the modeling capabilities of our current computing systems. Every single model we use has simplifications built into it. The systems can and do give adequate results for various purposes for which they are put. But one cannot draw conclusions beyond a certain point because the models are not sufficiently detailed. One of the major unquestioned articles of faith for the evolutionist is that “evolution is a fact”, no matter what particular variety of evolutionary hypothesis you may adhere to. This is an article of faith because it has never been demonstrated to be true. As an engineer, I see the superb design in every biological system. In fact, many of the manufacturing techniques and processes in use today and in the past are based and have been based on emulating biological systems. We just do it so incredibly badly. One engineering puzzle that is being actively worked on is a way of storing information as densely as is found in the genetic material within every biological organism. As I sit here, considering the various subjects, I am reminded that I have come across two different models that used slight modifications of the electric field equations. The results of the first ends up dispensing with the strong force in atomic nuclei and the second dispenses with gravity. Both are effects of electrical interaction. What I have just realized is that the specific changes required might be the same changes, I’ll have to look at both now and compare and see if I can get them into Maxima for modeling purposes. What I am saying here is that we know little about the universe around us. We develop models and theories by which we explain what we see. There is No guarantee that the models and theories are in fact correct. They may work but there are always limits beyond which, these models and theories WILL fail. Unfortunately, many today believe that evolution is true but never investigate its underpinnings to see what assumptions and limits that model has. It has become DOGMA and not science. So please answer my question above about what you think is the difference between pseudo-scientific and scientific. This will clue us in on where you are at. I think I might try to get our local library to get this book in. Thanks for the information. Have a good weekend ahead of you. 1) I DID NOT state “that Dr. Axes is not a scientist”. 2) His PhD is not in field even remotely related to evolutionary biology. 3) The vast majority of the scientific community holds that ID is NOT SCIENCE. 4) That community likewise appears sceptical that the Biologic Institute is doing science. 5) That community likewise gives no appearance of accepting the (very meager) publication of BIO-Complexity as science. 6) As somebody with ZERO expertise in any scientific field providing context to Axe’s work, you have ZERO ability to judge its scientific validity or relevance and thus are indeed COMPLETELY IRRELEVANT. 7) It IS NOT a genetic fallacy to point out that, in the opinion of many scientists with actual expertise in Evolutionary Biology, AXE’S WORK MISUNDERSTANDS EVOLUTION. Nor is it a genetic fallacy to point out that relevant experts (including an expert in search algorithms) have stated that EVOLUTION IS NOT ANALOGOUS TO A SEARCH. 8) ‘Science and Human Origin’ was “publish[ed] … independently and at one’s own expense” by the DI, which funds the Biologic Institute (where Axe and one other author works) and directly employed the third author. The DI is not even remotely analogous to a “university” (in either size, prestige or credibility), and the ‘existence’ of a vestigial “Discovery Institute Press” (that has no independent organisation, and does nothing but publish the DI’s own ID polemics) does nothing to alter this equation. 9) It did not receive “glowing scientific reviews”, the only positive reviews it received were from inside the ID echo chamber. 10) Actually Jay, I learned the term “fitness landscape” when I first encountered criticisms of Dembski’s Specified Complex Information magic pixie dust a decade or so ago. 11) Does Kauffman formally define the term “search”? If not he is most probably using it informally, rather than as a mathematical ‘term of art’ — so yes, the context DOES matter, and yes you are quote-mining. 12) Further, Axe’s 2004 paper appears to have a fixed target, and an artificially narrow one at that. 13) I picked the 2000 paper because I recognised the title and therefore could be confident that it had been criticised in the manner I mentioned. With a bit of searching to refresh my memory, similar criticism was made of his 2004 paper. It has after all been more than a decade, and I cannot be expected to recognise each and every publication, and its position within the ID debate, on sight. 1) In your first comment, you wrote, “His scientific career should therefore be framed in the past tense.” In other words, he is not currently a scientist. 2) His PhD thesis is directly related to evolutionary biology, as it deals with molecular biology. In addition, his peer-reviewed publications are also directly related to the evolution of proteins. 3) The vast majority of the scientific community once held that quasicrystals didn’t exist and made fun of the one man who said otherwise. The data eventually vindicated that man and gave yet another example of the myriad of instances of how the scientific consensus is often wrong. You can put your trust in the scientific consensus if you want. I prefer to look at the data and think for myself. 4) There are those in the scientific community who think the Biologic Institute is doing good science. Typically, they are the ones who value the data over their preconceived notions. 5) Once again, the genetic fallacy has no place in a scientific discussion. If you think the work published in BIO-Complexity is wrong, demonstrate so by addressing the science. 6) You claim that because I have “ZERO expertise in any scientific field providing context to Axe’s work,” I “have ZERO ability to judge its scientific validity or relevance and thus are indeed COMPLETELY IRRELEVANT.” Nevertheless, you have less experience in any scientific field, but you think you are able to judge Dr. Axe’s work, and your opinions on it are not “completely irrelevant.” That’s interesting! 7) It is most certainly the genetic fallacy to reject an idea because of its source. Indeed, that’s the definition. You can certainly point out that many scientists think Axe misunderstands evolution. However, that’s not what you have done. You have rejected his work without reading it, simply because it comes from him. You have yet to quote a single person who says that evolution is not analogous to a search. I, on the other hand, have quoted several experts who say it is. Indeed, one expert says that it is “necessarily a search. 8) Once again, look at the definition of self-publish. It means the author spends his or her own money. That’s not what happened. The Discovery Institute spent the money. As I tried to explain to you, this is like a university publishing its professors’ work. This happens all the time in science, and it is not, in any way, self-publishing. You may disagree with this because you don’t like the Discovery Institute, but that doesn’t change the facts. 9) Many of those in the ID community are scientists. Thus, even if the only praise that Science and Human Origins got was within the ID community, that means it still got glowing scientific reviews. 10) If you learned the term “fitness landscape” previously, then you should have known better to say that evolution is not analogous to a search, because evolution is necessarily a search of the fitness landscape. Your description of Dembski’s idea as “magic pixie dust” demonstrates how little you have educated yourself on these issues. We must begin with the plausible prejudice that properties of organisms which govern the structure and rate of landscape deformation, as well as such parameters of the adaptive search process, as mutation and recombination frequencies, are subject to natural selection. If so, then our basic questions must be, which properties of landscape and search parameters optimize adaptive evolution? In other words, it is exactly like a mathematical search. 12) As I tried to explain to you earlier, a fixed target is much, much easier for the evolutionary search process to find. A moving target is much harder. Thus, these numbers give the benefit of the doubt to evolution. 13) I did not imply that you must “be expected to recognise each and every publication, and its position within the ID debate, on sight.” However, I do expect you to actually read a book before evaluating it, and that seems to be something you refuse to do! 1) Twelve years ago, a scientist working in the field of molecular biology (but whose academic background in chemical engineering, rather than biology, probably meant that he lacked a full understanding of the full biological context of his work) published an article in a molecular biology journal that said that ‘X doesn’t work’. 2) A number of people associated with ID stated that this means that evolution doesn’t work. Evolutionary biologists responded that ‘X isn’t anything like evolution’. 3) Rather than defending the relevance of his work to evolution in any legitimate scientific (e.g. PubMed-indexed) publication, the scientist retreated into the ID echo chamber (the Biologic Institute, BIO-Complexity and DI Press). The question that hangs over this story is why, at this late stage, we should even care. ‘Undeniable’ has garnered almost zero attention outside the ID echo chamber, and from Creationism-watchers, probably because it adds little that is new to the debate. 1) As I mentioned in my previous reply to you, Axe’s thesis and his publication record are directly related to evolution. In addition, he published more than one article in the Journal of Molecular Biology, and he published many other articles in other journals. Finally, his primary description of evolution (that it is a search of the fitness landscape) is attested to by many experts in the field. Thus, he clearly understands it. 2) I don’t know anyone who says evolution doesn’t work. Axe certainly never did, and doesn’t do so in his present book. If you had read the book, you would know that. What he does in his articles and in the book is to put limits on how much evolution can do. 3) When journals that you claim are “legitimate” reject any work that doesn’t fit with certain preconceived notions, the work still needs to get published so that those who are actually interested in the data will be able to see it and learn from it. That way, scientific progress continues, regardless of the actions of those who don’t want it to progress when it conflicts with their preconceived notions. You ask why we should even care. I care because I am interested in what the data say about the origins debate. Dr. Axe’s book provides a readable synthesis of some of the most relevant data. The more data we have on the issue, the more likely we are to come to a scientific conclusion. As a result, I welcome all books that contain relevant data on the origins issue, including those that come to a conclusion with which I disagree. I guess my question to you is, Why do you care? You can’t even bring yourself to read the book, and you don’t want anyone else reading the book. If the book is really “irrelevant,” why do you care whether or not others read it? Indeed, why do you even waste time trying to argue against a book you haven’t read, if that book is irrelevant? After reading the to and froing of the above discussion, it has become obvious that both of you have disparate ideas of what a scientist is. So to bring some clarity, would both of you please define what makes a scientist? Somehow, My own view of what makes a scientist will be quite different to both of you, as I have the strongly held belief that anyone can be a scientist – the degree doth not make one such. It is how you investigate the world around you and how you approach the findings thereof. My seven year grandson is a scientist and his 2 year old brother is becoming one. They both use observation and in the case of the seven year old, experiments as well. Thanks for your comments, Bruce. I would say that a scientist is someone who has formal training in a scientific discipline and utilizes that training to expand our knowledge of how the universe (or our little corner of it) works by doing original scientific work. For example, the title of this review calls Dr. Axe a “real scientist” to contrast him with Bill Nye. Bill Nye has formal scientific training, but he has done no original scientific work, and his attempts to censor the content of science education actually work against us expanding our knowledge of how the universe works. Thus, Bill Nye is not a scientist, while Dr. Axe is. I would agree that in a colloquial sense, your seven-year-old grandson is a scientist. Indeed, this is one of Dr. Axe’s points in his book. You don’t have to be trained as a scientist to use scientific reasoning. However, I would say that using scientific reasoning in only one part of being a scientist. I think the requirement for the formal training as a scientist has led us back to the guild mentality. Certainly, a level of training is required, but this training need not be in a formal environment. In regards to formal environments, I personally think that today such formal education/training has got to the point where one is expected to believe/follow the party line and not follow the evidence. It seems to me that the evidence must follow the theory or it is ignored until it cannot be. In the 30+ years since leaving university, I have encountered more and more the mindset of not questioning the assumptions underlying the theories that are accorded to be correct by majority opinion. I am currently reviewing my old “Undergraduate Electronics” book from my undergraduate engineering days. There is a section there which discusses electron tunneling and the need to use quantum mechanics to explain this effect. A couple of pages later, the book discusses electron mobility in crystal lattices by using classical newtonian and electromagnetic theory. It discusses that the electron mobility is concerned with the average velocities of electrons in the crystal structures as they pass through and is effected by temperature. Yet this same idea can be used to explain the electron tunneling effects without recourse to quantum mechanics and the wave equations by the simple incorporation of a distributed velocity regime for electrons. The original assumption of an average velocity became the uniform velocity for electron mobility. This uniform velocity idea then leads to the idea that no electron can have a velocity large enough to overcome the p-n junction bias voltage, hence there will be no electrons passing the junction as none of them will have sufficient energy to surpass the barrier. Question the uniform velocity assumption and then realise we are looking at average velocities. This leads to the idea that some electrons can have sufficient energy to surmount the barrier and hence we should see a small current through the barrier. It then becomes a matter of working out the statistical distribution of velocities to see what the correlation is to current. Strangely enough, we were regularly warned about NOT ignoring the assumptions underlying the various models/theories we were using. We were regularly instructed that every model and theory we used was applicable to a limited set of situations. Every model/theory used some form of simplifying assumptions. This meant that if the environment we were studying fell outside of those assumptions then we would either need to modify the assumptions and the models/theories in use or we would have to use a different set of models/theories in our investigations. I suppose what I am trying to say is “we need to understand very clearly what our assumptions are and what they do in our various theories”. This does not seem to be the general approach taken today in the formal education of scientists or for that matter engineers. You might be right about the guild mentality, Bruce. In my own experience of teaching undergraduates and graduate students, however, I see how they grow as scientists when they are given formal training. In addition, I have met several people who think they are scientists but have no formal training, and they are definitely not scientists! To me, then, formal training is a must. At the same time, I do think with a certain level of formal training, you can then begin to train yourself. As a result, I need not be formally trained in every subject in which I wish to do original scientific work. I also agree with you that in many universities, formal training is far too interested in indoctrination. Indeed, Dr. Axe mentions that in his book. As far as quantum mechanics is concerned, the fact that the electrons have an energy distribution is not enough to explain tunneling. When tunneling was first observed, that was the attempted explanation. However, every reasonable energy distribution used could not produce the amount of tunneling observed. When quantum mechanics is used, however, you get the right amount of tunneling. Of course, nowadays, we can test this directly. As an undergraduate who was considering nuclear chemistry, for example, I did a particle accelerator experiment where I accelerated protons to a precise energy, which was well under the Coulomb barrier for the target. This means no nuclear reactions should have occurred. Nevertheless, they did. In this beam of protons, the energy distribution was well-known, and even the largest energies were not sufficient to overcome the Coulomb barrier. Thus, tunneling is quite real and readily observed. Now I do agree that we need to thoroughly understand the assumptions we have made, because they can definitely lead us in the wrong direction. Indeed, my next blog post will be on that very issue. Thank you for your feedback on your experiments. This is being left as a reply to my comment as there does not appear to be a way to respond to your comment. I have been considering your response and would like to point out a couple of problems. Firstly, the use of the word reasonable. The things that are considered reasonable is often based on what is expected, not on what is actually found. Many consider that gravity is the majority influence at galactic and universal levels. Hence it is reasonable to assume that when observations made don’t match what theory suggests, then there must be other things unseen that contribute to what is seen – in this case, dark matter and dark energy. It is also reasonable to consider that “black holes” and neutron stars exist. It is reasonable to consider charged particles as both point charges and finite sized particles (simultaneously) depending on which part of quantum mechanics and its associated components are being used. It is also reasonable to view the infamous zoo of elementary particles (including and up to the Higgs Bospn) as being more fundamental than the basic particles we see in nature around us. It is also reasonable to consider that evolution is a “fact”. These ideas are reasonable to those who subscribe to them. The problem is their failure to recognise that these are models of reality and not reality itself. They work (up to a point) but all have points of failure. Examples like the proton-muon experiments that give a different size for the proton to what is found in proton-electron configurations. Actually calling a muon an elementary particle is a real problem since it is not stable and decays to other products. There is much evidence available that leads one to view many of the current crop of mainstream theories as either being fundamentally flawed or limited in their application. I would offer the following as a possible analogy. When designing various kinds of physical devices, one can use a techniques called piece-wise linearisation. The models developed give very good results and you can predict much about what you are investigating. But it does not give you a finely accurate picture of reality. We use statistical methods to simplify our theories – you alluded to this by your use of “reasonable energy distribution” above. This is a very useful technique but can blindside us to what is going on. Our models generally work and give predictions in the range of what we expect, but there are no guarantees that our models are correct. Too often, we allow the assumptions on which we base our theories to become “facts” and we forget that they are assumptions. I have in my possession an edited partial copy of a rework of quantum mechanics undertaken during the early 60’s. The author spent 3 or so years looking at every assumption in the quantum mechanical model. He then included from the beginning all the terms that were added later in later developments. Doing so, led him to quite a different view of the universe, particularly the sub-atomic and atomic levels. One of the outcomes, was a simplified geometrical model for calculating atomic binding energies that was more accurate (to < 1%) than existing models as compared to measured calculations. Another outcome was the dispensing of the need of the strong nuclear force, which lead to stability prediction for nucleons. His father was one of Canada's nuclear scientists of the time. One could ask why his work is not know, well he wasn't a working scientist, he was a working soldier. His papers are (as far as I know) in the hands of the Canadian Archives. Is his work valid? I am not expert enough to say yes or no. But of the group that was looking at it at the time I was introduced to it, there were a couple of working nuclear physicists also looking at the work. However, by considering his ideas, I took an interest in the elementary zoo, and came to the conclusion based on the evidence presented that all of these extra particles are high-energy meta-stable or unstable configurations of those particles we see in nature around us, protons, electrons, neutrinos and photons and the associated anti-particles. The zoo is considered elementary because the basis of the model is that the universe started in a extremely high energy state (the big bang). This is the unquestioned assumption behind the model. The fact that when we go to higher and higher energy levels, we see these unstable composites appear and they match the standard model does nothing to confirm the assumption that the universe started in the high energy state. Nor does it confirm that the universe has to be of an extreme age. That model is predicated on the simple assumption that either God does not exist or doesn't involve Himself in the day to day running of the universe. Do I have a decent understanding on how the universe run. I can't say I do, but I do trust in Him who created it based on my personal interactions with Him over the years. He has given me specific insights into His creation, the nature of time, the nature of free-will and some insight into causality and uncertainty. None of these insights are "scientific" as such. These have led me to try to understand the various base assumptions that the various scientific theories and models are based on – the assumptions that are outside the realms of scientific investigation. Being a scientist does not require one to leave your faith at the door. Bringing your faith in Jesus Christ with you should keep you humble enough to investigate the world around with open wonderment and careful study. At any rate enough of this for today. I have other things to do including preparing/developing a full test regime for some vertical axis wind turbine configurations I am looking at and spending time with my grandchildren. May the week ahead be full of blessing for you and your family by the hand of our Glorious Creator and Saviour Jesus Christ. Thanks for your reply, Bruce. I agree that we must always question the theories with which we work. At the same time, however, we must not be ready to replace them simply because we don’t like them or don’t agree with the fundamental assumptions made in the theory. The only reason to reject a theory is if it fails to agree with the data. General relativity and quantum mechanics, for example, are not consistent. Thus, there is something wrong with one or both. Nevertheless, there is (so far) no other theory of the atomic scale that is consistent with as large a data set as quantum mechanics. In the same way, there is no other theory of the universal scale that is as consistent with as large a data set as relativity. Thus, even though we know there is something wrong with one or both of them, we cannot just abandon them, as they represent the very best description of each of their respective domains. When I used the word “reasonable” to discuss energy distributions of electrons, I meant what is reasonable based on the data. We have examples of measured energy distributions, and when we use any version of those distributions in electronics, tunneling cannot be explained. Thus, if you want to explain tunneling without quantum mechanics, you need to come up with an energy distribution for the electrons that is consistent with the data and then explain why the energy distribution is unlike any we have ever seen. Even if you can do that, however, you still haven’t gotten rid of the idea of tunneling. After all, we do experiments like the one I did all the time, where we know the all the energies involved, and they are all far below the reaction barrier. Nevertheless, reactions happen, and quantum mechanics accurately predicts the number of reactions and the distribution of products. If you have a theory regarding the nature of matter, I encourage you to pursue it. Right now, the Standard Model (and its zoo of particles) is accepted because it is the most consistent with the data and is successful at making predictions about the outcomes of experiments that haven’t been done yet. If you can produce a theory that is more consistent with the data, I encourage you to do so. However, until you do, the Standard Model (which doesn’t rely on the Big Bang in any way) is the best one we have. I certainly agree that being a scientist doesn’t require you to leave your faith at the door. In fact, without the Christian faith, we wouldn’t have the science we have today. In this day and age, a scientist submits his research to the peer-review process. That is how both Dr. Axe and you became ‘real scientists’. But just because you are a scientist, does not mean that everything that you subsequently do is science! If Dr. Axe were to publish a few approbatory articles in the Flat Earth Society forum (yes, it does exist [https://www.tfes.org/]), would that still qualify as science? In a vacuum, away from peer critique? If there were legitimate science in these hypothetical articles, wouldn’t it be more constructive to have them published in respectable journals where they would add to the scientific body of work? ‘Real scientists’ let other scientists examine and critique their work. After all, an athlete is crowned an Olympic champion only if they participated in the Olympic Games. If Dr. Axe is unwilling to put his ideas up to scientific scrutiny in the accepted arena, then the legitimacy of his work is up for question. What is he afraid of? In this case the fallacy being committed is not the genetic fallacy on Hrafn’s part, but the fallacy of false authority on your part. Benjamin, you are quite wrong to suggest that Dr. Axe hasn’t submitted his research to peer review. He most certainly has. All of his original research has been published in peer-reviewed journals. As you say, that’s how science is done, and that’s just what Dr. Axe has done. He hasn’t posted his work on some forum. He has submitted it to peer review and adjusted it based on the peer review. In your own words, he has “let other scientists examine and critique” his work. He has then responded to their critiques. Now, of course, the problem is that you are using the genetic fallacy, just like Raven. You have decided that BIO-Complexity, which is a peer-reviewed journal, isn’t a “legitimate” journal. However, there is certainly no scientific reason to do so. The science published there is solid, and the peer review is rigorous. Unlike the journals you think are “legitimate,” however, they are willing to consider work that forcefully questions the current paradigm. I suspect that Dr. Axe considers it more efficient to publish in that journal rather than continuing to publish in the journals that draw strict lines when it comes to questioning the current paradigm. Now that his research is published, of course, all scientists can scrutinize it. Thus, Dr. Axe has not only put his research up for scientific scrutiny when it comes to peer review, but he has also published it in a scientific journal that any other scientist (or maybe even some educated laypeople) can read. My question is this: What are the people who reject BIO-Complexity afraid of? Dr. Wile, You are a great intellect. I am very glad you are around. I have read and listened to you for years, now. It is rare that someone with such extensive knowledge will comment as you do, and weather rudeness so gracefully. I wish you well. Thanks for your kind words, Tom. I am not sure about the “great intellect” part. I have had the privilege of working with and getting to know some truly great intellects, and I would not count myself among them. However, I am glad that my postings and comment replies have been of use to you! I suppose it remains to be seen if any working scientist will consider Dr. Axe’s book worth replying to. Once again, the forum is central to the issue. Scientists read the journals for the latest updates in their field and the editorial scrutiny tends to be strict for the premier journals. Books are secondary, since publication is much slower, and the editorial bar is set much lower. Therefore, my suggestion that Dr. Axe publish in the better journals. Taking the easy way for the sake of “efficiency” does not help his case. To be clear: I have not suggested that Dr. Axe has not published in peer-reviewed journals; I know he has or he would not have a legitimate doctorate. I am simply stating that the work in this book is what he has not put up for scrutiny in those selfsame peer-reviewed journals. I would like to add that the genetic fallacy is not always applied negatively, as you accuse both Hrafn and myself of doing: “BIO-Complexity is not considered one of the premier scientific journals, therefore no real science is reported there.” This is not simply an assertion on our part. A check of journal rankings on SciMago [http://www.scimagojr.com/journalrank.php] does not even bring up BIO-Complexity, hence the skepticism. I don’t think anyone is ‘afraid’ of BIO-Complexity—it is simply irrelevant. Continuing the point, the genetic fallacy happens positively too: “Dr. Axe (and yourself) have published legitimate science in legitimate journals, therefore everything that you publish is legitimate science.” You list a number of publications by yourself and Dr. Axe as if that automatically confers scientific validity on anything else you do. This is simply not the case. Think about it buddy. Your degree does not confer upon you a monopoly for certitude. What you do have is a monopoly for the last word, which I know you like to exercise, so I will leave this reply at that. Thanks for listening! I think you don’t understand the purpose of this book, Benjamin. This book is not meant for scientists. It is meant for the layperson. In the end, Dr. Axe is simply trying to communicate his view of biology to the general audience, in hopes of helping them understand how they can use scientific reasoning when it comes to the origin debate. Now, as far as taking “the easy way,” that’s most certainly not what Dr. Axe is doing. When it comes to what is best for science, Dr. Axe has a choice: (1) He can spend a lot of time jumping through the hoops of the standard peer-reviewed journals, adjusting his publications over and over again so as to be acceptable to journals that draw arbitrary lines around what is “accepted” science or (2) He can deal with a publication that doesn’t draw those arbitrary lines so that, in the end, he can concentrate more on his original research. I assume that he has chosen option (2) simply because he thinks that those scientists who honestly want to know what the data say will take the time to read BIO-Complexity, and those who don’t care to learn what the data say won’t matter in the long run. I have to say that option (2) is definitely the one that I would choose, for the sake of scientific progress. I agree that many scientists don’t consider BIO-Complexity to be an important journal, and that is not the genetic fallacy. Instead, it is the bandwagon fallacy. Science isn’t done based on majority vote. It is based on what the data say, and the data clearly say that BIO-Complexity is an important scientific journal, regardless of what the majority of scientists say. I also don’t think you understand what gives scientific work legitimacy. I most certainly do not claim that the fact that I have published in the premier journals of nuclear chemistry confers any level of legitimacy to my work. I doubt that Dr. Axe does, either. It is actually very easy to be published in the standard, peer-reviewed journals, as long as you don’t challenge the prevailing dogma of the day. The only reason I mention my publications in the premier journals of nuclear chemistry is to show that I know what it is like to publish in those journals, and as a result, I can see why they do not offer any more legitimacy than many other peer-reviewed journals, such as BIO-Complexity. I can’t imagine how anyone who reads this blog could possibly think that I believe my degree confers upon me a “monopoly for certitude.” Indeed, I say over and over again that I could be wrong. In addition, I have admitted to being wrong in the past (see here, here, and here, for example). However, since I follow the data instead of the majority opinion, I do think I am more likely to be correct than those who slavishly follow the scientific consensus. I do feel compelled to tell you that your agreement with the scientific consensus does not confer upon you a monopoly for certitude. The scientific consensus has been demonstrated to be incorrect throughout the course of history, which is specifically why I tend to follow the data instead of the scientific consensus.